Gleneagles, Scotland, UK; 8 August, 2018. European Championships 2018. Day one of golf competition at Gleneagles..Men's and Women's Team Championships Round Robin Group Stage - 1st Round. Four Ball Match Play format. 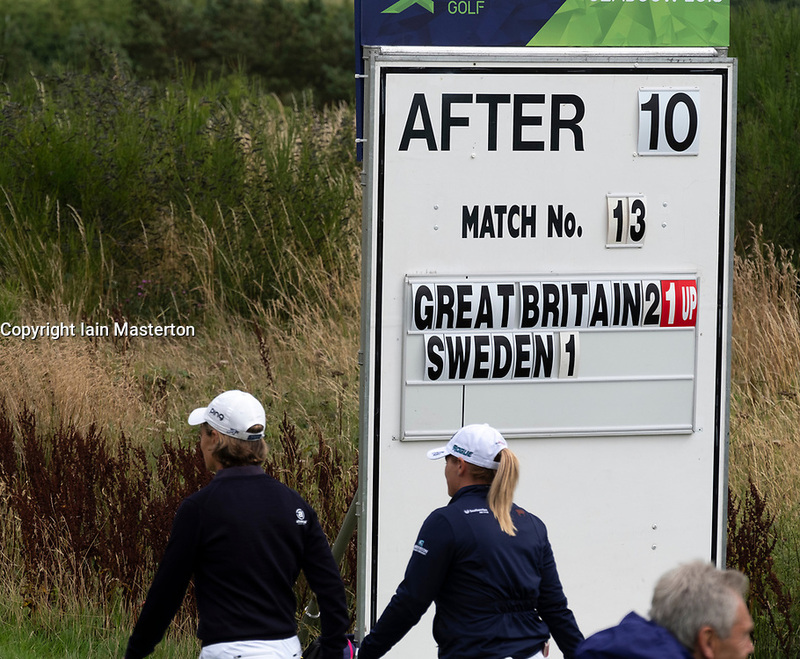 Match 13 Great Britain 2 v Sweden 1 Ladies. Catriona Matthew and Holly Clyburn won 3 and 2.